On December 1st, 1955, the course of history was changed when Rosa Parks refused to give up her bus seat for a white passenger and was subsequently arrested. For the next year, until racial segregation was deemed unconstitutional by the federal courts, a boycott of the public transport system, headed by Martin Luther King, took place. 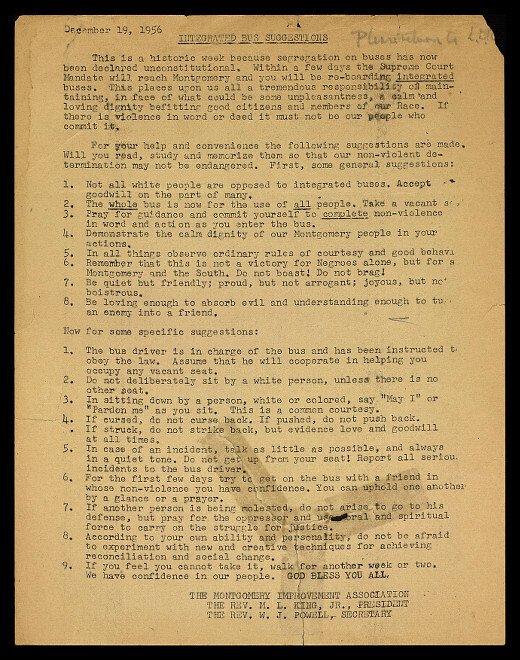 On December 19th of 1956, the eve of a historic victory for those opposed to such segregation, King prepared a list of guidelines for those soon to be re-boarding the buses. Transcript follows. 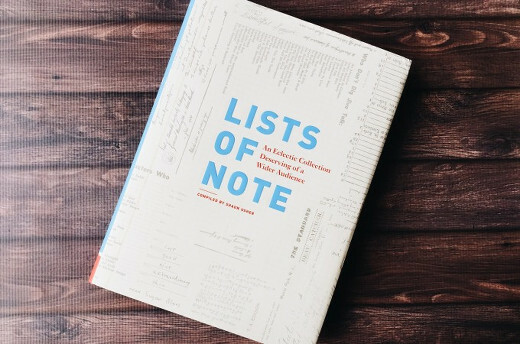 This fascinating document can be found in the Lists of Note book, along with 124 other compelling lists from throughout history. For more info about that book, go here. Not all white people are opposed to integrated buses. Accept goodwill on the part of many. The whole bus is now for the use of all people. Take a vacant seat. Pray for guidance and commit yourself to complete non-violence in word and action as you enter the bus. Demonstrate the calm dignity of our Montgomery people in your actions. In all things observe ordinary rules of courtesy and good behavior. Remember that this is not a victory for Negroes alone, but for all Montgom¬ery and the South. Do not boast! Do not brag! Be quiet but friendly; proud, but not arrogant; joyous, but not boistrous. Be loving enough to absorb evil and understanding enough to turn an enemy into a friend. The bus driver is in charge of the bus and has been instructed to obey the law. Assume that he will cooperate in helping you occupy any vacant seat. Do not deliberately sit by a white person, unless there is no other seat. In sitting down by a person, white or colored, say "May I" or "Pardon me" as you sit. This is a common courtesy. If cursed, do not curse back. If pushed, do not push back. If struck, do not strike back, but evidence love and goodwill at all times. In case of an incident, talk as little as possible, and always in a quiet tone. Do not get up from your seat! Report all serious incidents to the bus driver. For the first few days try to get on the bus with a friend in whose non-violence you have confidence. You can uphold one another by a glance or a prayer. If another person is being molested, do not arise to go to his defense, but pray for the oppressor and use moral and spiritual force to carry on the struggle for justice. According to your own ability and personality, do not be afraid to experi¬ment with new and creative techniques for achieving reconciliation and social change. 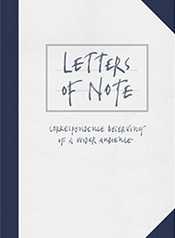 The very handsome U.S. edition of the Lists of Note book, pictured above, is soon to be published by the clever folk at Chronicle Books--on June 16th, to be precise--and I'm extremely excited. It's a gorgeous book, if I do say so myself, filled with 125 fascinating lists from throughout the ages, written by such people as Marilyn Monroe, Johnny Cash, Christopher Hitchens, Sylvia Plath, Isaac Newton, Rudyard Kipling, Thelonious Monk, Walt Whitman, Susan Sontag, Leonardo da Vinci, and many, many more. Pre-order via this link and receive a Moleskin in which to write your own lists, plus a signed bookplate (this offer is open to US residents only and ends tomorrow, 4th June, so be quick!). “This is a list which was taped inside my closet door in Hollywood during those years when I was reporting more or less steadily. 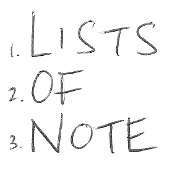 The list enabled me to pack, without thinking, for any piece I was likely to do. Notice the deliberate anonymity of costume: in a skirt, a leotard, and stockings, I could pass on either side of the culture. 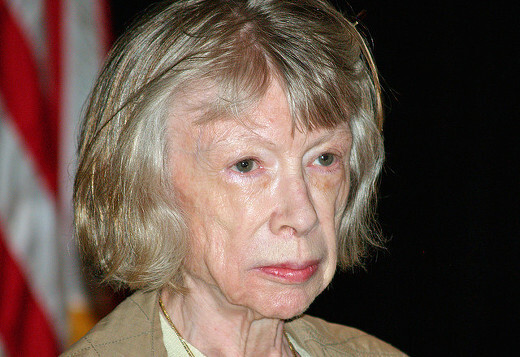 Notice the mohair throw for trunk-line flights (i.e. no blankets) and for the motel room in which the air conditioning could not be turned off. Notice the bourbon for the same motel room. Notice the typewriter for the airport, coming home: the idea was to turn in the Hertz car, check in, find an empty bench, and start typing the day’s notes. 1. The special edition can still be purchased via Unbound. 2. Waterstones have chosen it as their 'Non-Fiction Book of the Month' across the land. Hooray! 3. An extract of the book was published by the Telegraph the other day. 4. 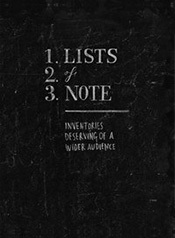 A lovely piece was written in the Independent, inspired by the book and our fascination with lists in general. 5. 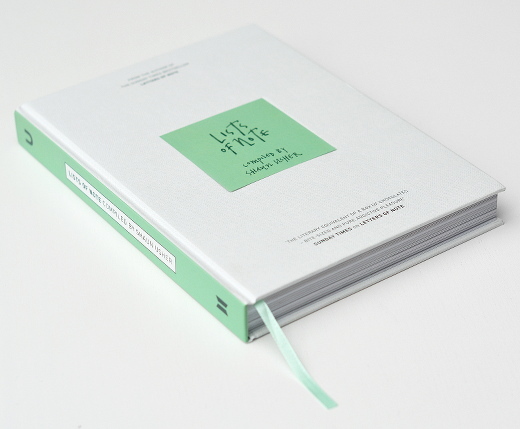 More info about the book and its stockists can be found here. 6. Photos of the book can be found here. Feel free to use them as you see fit. That's all. I really hope you enjoy it.